Lately, I’ve been enjoying extended time at the beach, the camp ground where power outlets are scarce or none existent at all. What better than to keep all powered up and going when away from home? A kickass power bank! 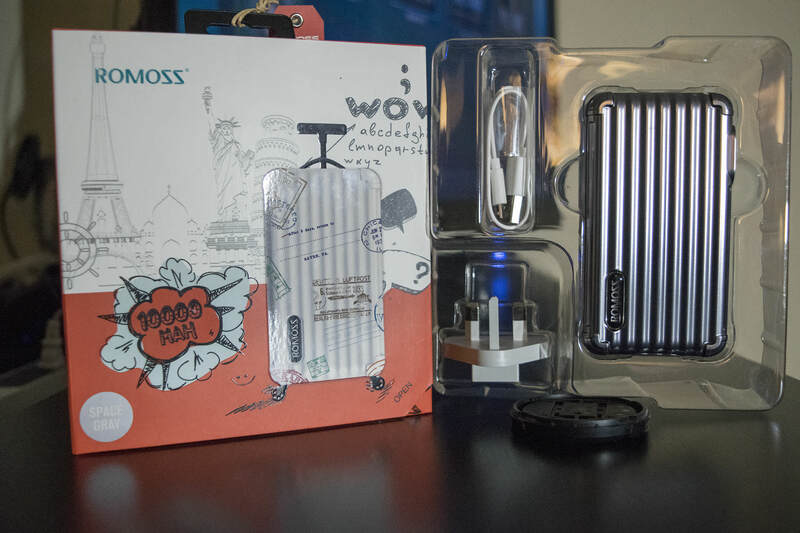 Scouring the web to find something different than the typical stick power bank I found ROMOSS UPower Traveling Power Bank. We’ve got 2 USB port one of which will deliver according to ROMOSS UPower 2.1A and the other the standard 1A for a combined total power output of 2.1A. Now here’s the funny part, I’m using the Nexus 6P and the Xperia XA1 Ultra and both are indicating “CHARGING RAPIDLY” typically if I’m getting only 2.1A it wouldn’t register as such, but it would just say “Charging”. It does in fact “FAST CHARGE” both my devices when I connected them to it. 4 LED lights each indicating the level of power in increments of 25% with a power toggle to enable the charging to happen. The unit can be recharged on its own as it has a foldable North-American plug. The package also comes with the needed UK adapter for the ones that travel. The unique look which resembles a travel suit case is what that captured my attention. Amazon has it on sale at this present time for $37.99 USD. Considering the amount of juice I’m getting and the fact that I’m getting “FAST CHARGE”, I’m going to give this a 4 out of 5 stars. 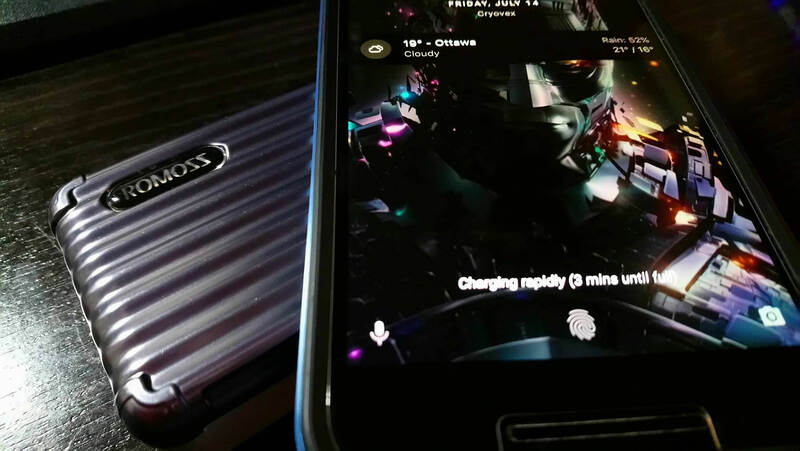 The product could improve drastically by reducing its weight, size and including the current specification for Quick Charge technology, USB-C standard and having built-in plugs for it. 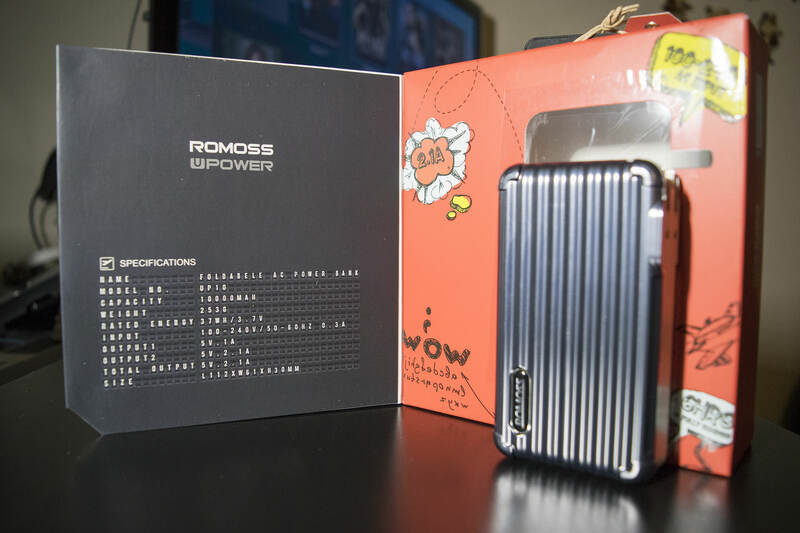 ROMOSS Upower Travelling companion with 10 000 mAh of power as low as $37.99 on Amazon.